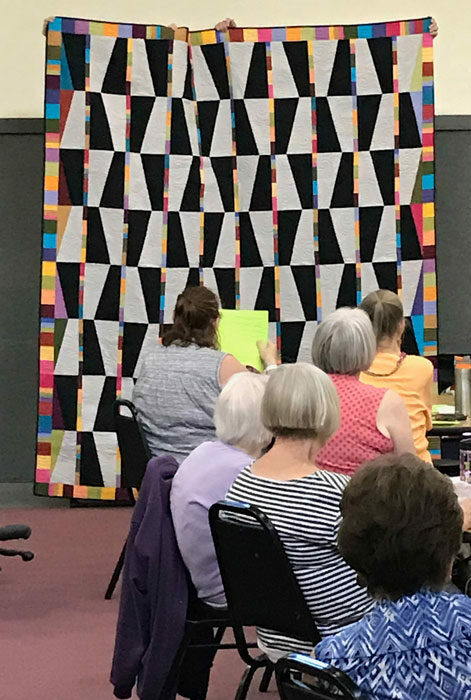 Our presenter at this month’s Northwest Quilters’ Guild meeting was Eugene quilter Sheila Sinclair Snyder. 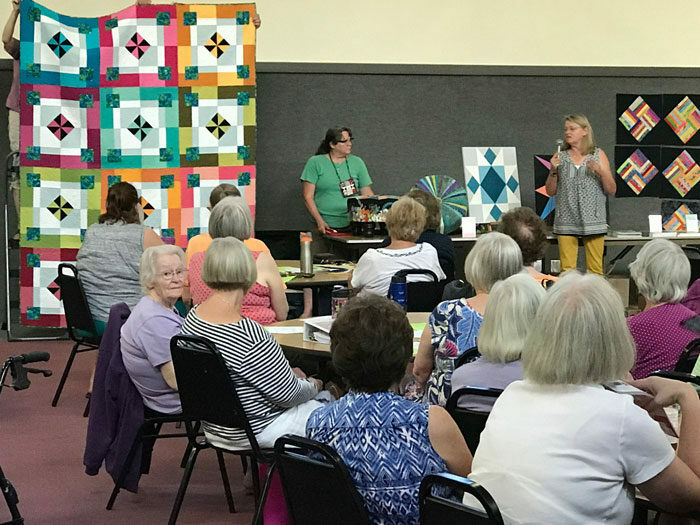 She talked about her journey in the quilt world. Specifically, she was a longarm quilter for hire for ten years. Her greatest wish during that time was for her clients to deliver quilts to her that were square and whose borders were the same size as the quilt. 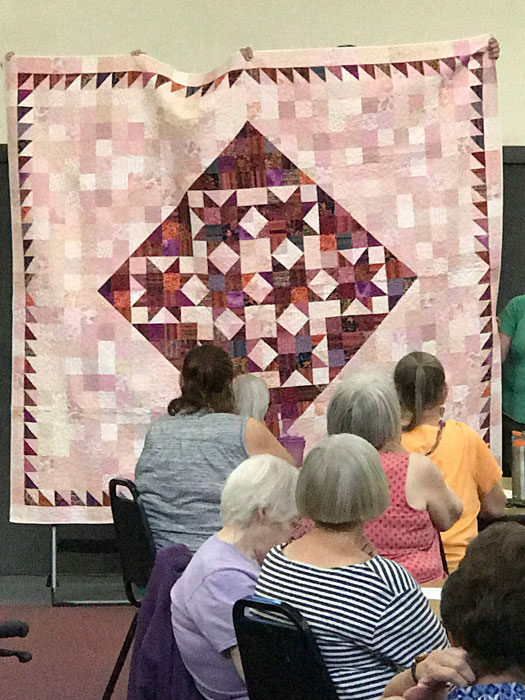 This issue led her to designing patterns with borders that were an extension of the blocks rather than borders added on after the main part of the quilt was complete. Notice how the seams go straight across from the blocks to the borders in the quilts below. As part of the barn quilt craze, Sheila teaches a small version. She supplies the paints, wood panel, and a wide variety of traditional designs to choose from. An example, is the blue and white block standing on the table next to her in this last photo. A second tip Sheila shared: if you want to use stripes in your quilt, select the striped fabric first then build the other fabrics around it. Otherwise, she said, it’s nearly impossible to find a striped fabric to complement a quilt-in-progress later on. No doubt learned from experience!